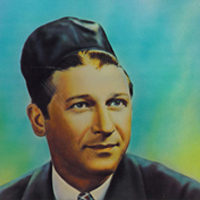 Born in New York in an era when the sanctuary was truly the spiritual home, Cantor Waldman became imbued with the soulful prayers, chassidic melodies, and the religious spirit of our people. 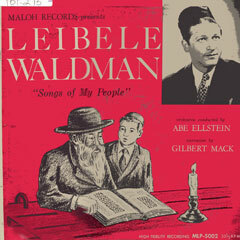 Since the age of nine, when Cantor Waldman first served as “Sh’liach Tzibbur” (Cantor literally, messenger of the congregation), Jewish congregations and audiences have been uplifted ecstatically and thrilled musically by a brilliant lyric baritone voice which has an impassioned Jewish sensitivity unequalled in our generation. 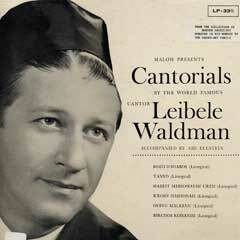 Waldman is the only American born cantor who may be considered as belonging to the “Great Cantors of the Golden Age”. Both the triumph of Jewish survival and our centuries of suffering are commingled in a pithy musical phrase poignantly interpreted by Cantor Waldman to stir profoundly and emotionally every type of Jew. 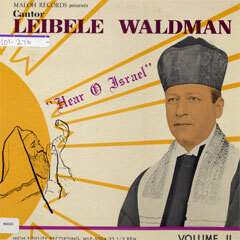 Leibele Waldman was also a notable actor. 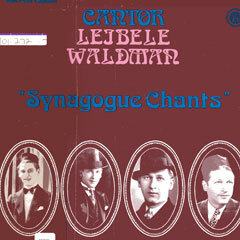 The film “A Cantor on Trial” (1931) is considered a cultural masterpiece on many levels for students of Judaica. 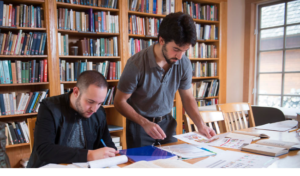 Cantor Leibele Waldman plays multiple roles in this spoof of a synagogue committee in search of a chazan (cantor) for the High Holiday services. The action takes place in a city with a major Jewish population, because of the number of cantorial candidates. Secondly, the members of the synagogue are Conservative. We can tell because their beards are neatly trimmed, yet they keep their heads covered. It is also a Lithuanian congregation, judging by the members’ reaction to the comments–not understanding German, the need for a Lithuanian Cantor, etc. 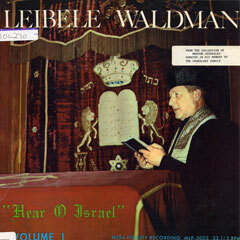 The talent that Waldman displays is not to be understated. 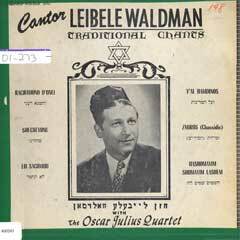 It isn’t easy to sing in different accents, and yet Waldman pulls it off. 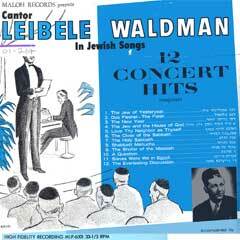 I won’t spoil the fun, but imagine yourself as a Conservative American Jew in the 1930’s; who would you hire as a Cantor? A Lithuanian, A German, or an American? Watch the film and see for yourself who wins the election.